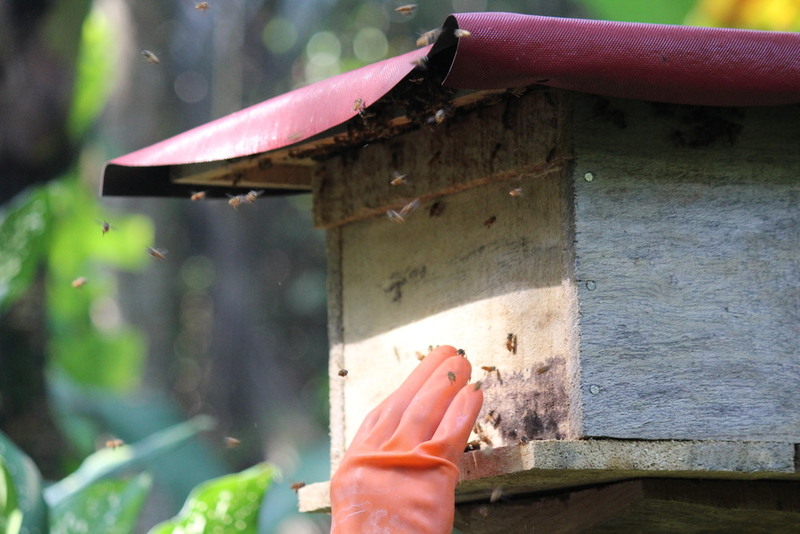 Recently we relocated our bee family from the traditional Balinese bee hives hanging up in the trees to a more classical bee stock - square wooden boxes. Here you can see the first results of the organic honey production. We already manufactured the first jars of organic honey. The taste is a unique bouquet of aromas of wild flowers. Highly nutritious and is locally also used to put on stings and wounds for healing.